Please contact me regarding the 2018 Peterbilt 567 - Stock# 461791 for sale at TruckerToTrucker.com. 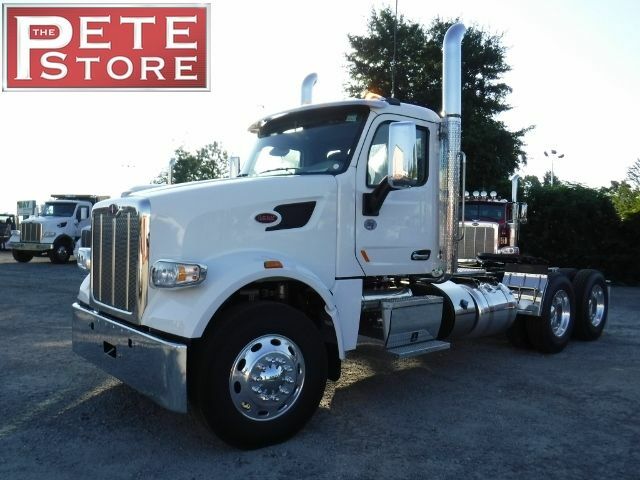 Take a look at this 2018 Peterbilt 567. It is Stock# 461791 at TruckerToTrucker.com. 215" Wheelbase, Set Forward Front Axle, Cummins X15 Engine with 500 HP & 1,850 lbs-ft, 13 Speed Transmission, 40,000 lbs. Peterbilt Air Trac Suspension, 3.55 Axle Ratio, Locking Rear Axle Diffs, 24" Air Slide 5th Wheel, 11R24.5" Tires, Polished Aluminum Wheels, Polished Fuel Tanks, Texas Chrome Bumper, Tilt/Tele Steering Wheel, Multi-Function Controls on Steering Wheel, Dual High Back Seats, Bright Finish Mirrors w/ Heat & Power, Chrome Bezel Gauges, Load Lights. Great Looking Truck Ready To Work For You!